www.elkmountainstraverse.com website is updated and live! This is THE race that started "it" more many of us on Team Crested Butte. 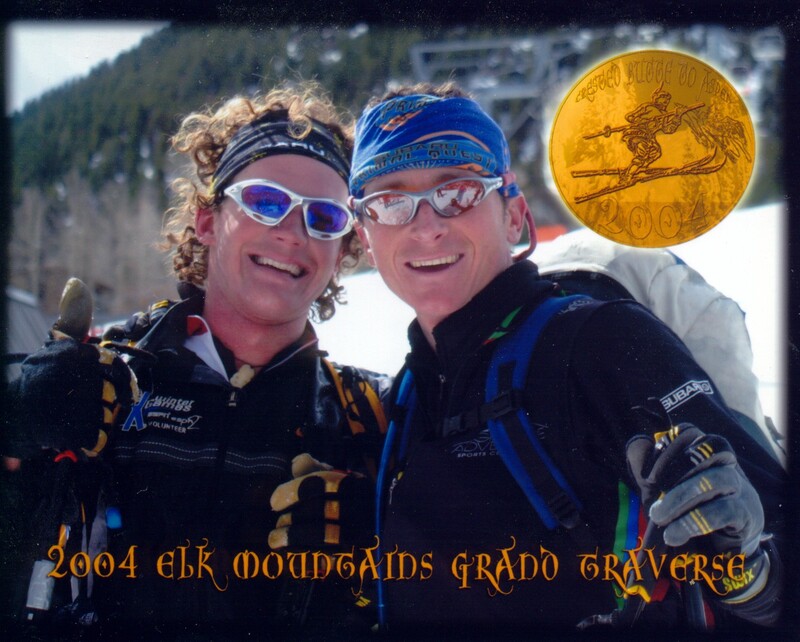 Its "our" local back country race traveling from CB to Aspen....15 years later its become THE iconic back country ski race in North America. Modeled after the Patrol de Glacier its got the draw of many top back country skiers across the US. The race was recently purchased by the Crested Butte Nordic Center with the thought of adding some much needed "energy" to the raced management team, as the old crew has been tapped out. This race is a monster to put on, but trust me the new crew is up to the task. Several new, fresh changes are on tap...the most notable is the new website and logo going forward. I believe Jari has won the Women's & Co-ed category once each, Smith & Jon won it once, and Wick & Smith won it two years ago during the second ever "Grand Reverse". We all train to get our names back on the trophy as its got huge "local bragging rights". Feel free to hit us with questions on the race....just be sure to sign up on December 1, 2011.